This battle will be preceded by WWIII as said in YAH’S Amightywind Minsitry Prophecy 49. THE BATTLE BETWEEN LIGHT AND DARKNESS a.k.a THE BATTLE BETWEEN GOOD & Evil! To learn more about this battle that will occur in the future at the end of the Great Tribulation/Time of Jacob’s Trouble, we need to go back in time. We need to study and learn our history. We need to read and study the story that led to the FEAST OF CHANUKAH/HANUKKAH (a.k.a Feast of DEDICATION & LIGHTS)! During the Feast of CHANUKAH, we Messianic Jews celebrate the GREATEST LIGHT that came into the world. That LIGHT is YAHUSHUA HA MASHIACH (a.k.a JESUS CHRIST/YESHUA) as per Genesis 1, John 1, John 8:12 and Matthew 5). During the Feast, we put up lights everywhere in our houses. There is no limited number of Menorah that we can light up in our houses or wherever we are celebrating the Feast. 2 During that time, a priest of the Jehoiarib family named Mattathias, who was the son of John and the grandson of Simeon, moved from Jerusalem and settled in Modein. 2 Mattathias had five sons: John (also called Gaddi), 3 Simon (also called Thassi), 4 Judas (also called Maccabeus), 5 Eleazar (also called Avaran), and Jonathan (also called Apphus). the ruin of my people and of the holy city? and the Temple falls into the hands of foreigners? 8 The Temple is like someone without honor. have been carried away as loot. and our young men by the sword of the enemy. and robbed her of her possessions. she is now a slave, no longer free. emptied of all its splendor. 13 Why should we go on living? 14 In their grief, Mattathias and his sons tore their clothes, put on sackcloth, and continued in deep mourning. Friends of the King, and you will be rewarded with silver and gold and many gifts. I don’t care if every Gentile in this empire has obeyed the king and yielded to the command to abandon the religion of his ancestors. 20 My children, my relatives, and I will continue to keep the covenant that God made with our ancestors. 21 With God’s help we will never abandon his Law or disobey his commands. 22 We will not obey the king’s decree, and we will not change our way of worship in the least. 23 Just as he finished speaking, one of the men from Modein decided to obey the king’s decree and stepped out in front of everyone to offer a pagan sacrifice on the altar that stood there. 24 When Mattathias saw him, he became angry enough to do what had to be done. Shaking with rage, he ran forward and killed the man right there on the altar. 25 He also killed the royal official who was forcing the people to sacrifice, and then he tore down the altar. 26 In this way Mattathias showed his deep devotion for the Law, just as Phinehas had done when he killed Zimri son of Salu. Everyone who is faithful to God’s covenant and obeys his Law, follow me! 28 With this, he and his sons fled to the mountains, leaving behind all they owned. 29-30 At that time also many of the Israelites who were seeking to be right with God through obedience to the Law went out to live in the wilderness, taking their children, their wives, and their livestock with them, because of the terrible oppression they were suffering. 31 The report soon reached the king’s officials and the soldiers in the fort at Jerusalem that some men who had defied the king’s command had gone into hiding in the wilderness. 32 A large force of soldiers pursued them, caught up with them, set up camp opposite them, and prepared to attack them on the Sabbath. 33 There is still time, they shouted out to the Jews. Come out and obey the king’s command, and we will spare your lives. 34 We will not come out, they answered. We will not obey the king’s command, and we will not profane the Sabbath. We will all die with a clear conscience. Let heaven and earth bear witness that you are slaughtering us unjustly. 38 So the enemy attacked them on the Sabbath and killed the men, their wives, their children, and their livestock. A thousand people died. If all of us do as these other Jews have done and refuse to fight the Gentiles to defend our lives and our religion, we will soon be wiped off the face of the earth. 41 On that day they decided that if anyone attacked them on the Sabbath, they would defend themselves, so that they would not all die as other Jews had died in the caves. 42 Then Mattathias and his friends were joined by a group of devout and patriotic Jews, the strongest and bravest men in Israel, who had all volunteered to defend the Law. 43 In addition, everyone who was fleeing from the persecution joined them and strengthened their forces. 44 Now that they had an army, they gave vent to their anger by attacking the renegade Jews. Those who escaped were forced to flee to the Gentiles for safety. 45 Mattathias and his friends went everywhere tearing down pagan altars 46 and circumcising by force every uncircumcised boy they found within the borders of Israel. 47 They were also successful in hunting down the arrogant Gentile officials. 48 They rescued the Law of Moses from the Gentiles and their kings and broke the power of the wicked King Antiochus. These are times of violence and distress. Arrogant people are in control and have made us an object of ridicule. 50 But you, my sons, must be devoted to the Law and ready to die to defend God’s covenant with our ancestors. 51 Remember what our ancestors did and how much they accomplished in their day. Follow their example, and you will be rewarded with great glory and undying fame. 52 Remember how Abraham put his trust in the Lord when he was tested and how the Lord was pleased with him and accepted him. 53 Joseph, in his time of trouble, obeyed God’s commands and became ruler over the land of Egypt. 54 Phinehas, our ancestor, because of his burning devotion, was given the promise that his descendants would always be priests. 55 Joshua was made a judge in Israel because he obeyed the command of Moses. 56 Caleb brought back a good report to the community and was given a part of the land as a reward. 57 David was made king and was given the promise that his descendants would always be kings because of his steadfast loyalty to God. 58 Elijah, because of his great devotion to the Law, was taken up into heaven.59 Hananiah, Azariah, and Mishael were saved from the flames because they had faith. 60 Daniel was a man of integrity, and the Lord rescued him from the mouth of the lions. 61 Take each of these ancestors of ours as an example, and you will realize that no one who puts his trust in the Lord will ever lack strength. 62 Don’t be afraid of the threats of a wicked man. Remember that he will die and all his splendor will end with worms feeding on his decaying body. 63 Today he may be highly honored, but tomorrow he will disappear; his body will return to the earth and his scheming will come to an end. 64 But you, my sons, be strong and courageous in defending the Law, because it is through the Law that you will earn great glory. 65 Your brother Simon is wise, so always listen to him as you would to me. 66 Judas Maccabeus has been strong all his life; he will be your commander and will lead you in battle against the enemy. 67 Call everyone who obeys God’s Law to rally around you; then avenge the wrongs done to your people. 68 Pay back the Gentiles for what they have done, and always obey the Law and its commands. Antiochus IV Epiphanes who was the Greek-Syrian King that had taken over the Holy Land, Israel at the time was the Anti-Messiah (a.k.a Anti-Christ) of that day and age as he desecrated the Holy Land as well as tried to hellenise the Israelites. This was an abomination unto YAHUVEH GOD . The Israelites knew it. So they fought back. Antiochus IV Epiphanes and his subjects were representatives of the DARKNESS that was trying to take over the TRUE LIGHT OF YAH in the Holy Land, Israel. They were ambassadors of Satan whose original name was Azazel. When YAHUSHUA came into the world, HE constantly challenged the Darkness that had taken over through Satan who tempted the first woman and man to sin against YAHUVEH/YAHWEH GOD! (See Yahuchanan/John 1) It was hard word and it still is hard work to make YAH’S people see the darkness in them and around them. Many shunned YAHUSHUA and still shun HIM today, sadly. In the story of CHANUKAH, we see the Israelites endure through the battle until victory was achieved. Eventually, YAHUVEH GOD Almighty sent HIS judgement upon Antiochus IV Epiphanes. When the judgment came, non of his subjects could come near him as he was very smelly and disgusting to be around. Even after the Re-dedication of the Temple of YAH, Judah Maccabi (in Greek: Maccabeus) and his followers continued to fight in various battles against the enemies (also the enemies of YAH)! What happened in the times of the Maccabees was a PHYSICAL MANIFESTATION OF THE SPIRITUAL BATTLE WE FIGHT DAILY AND WILL FIGHT more fiercely IN THE FUTURE AT A GREAT LEVEL! The Book of Joshua throws more light on this matter. 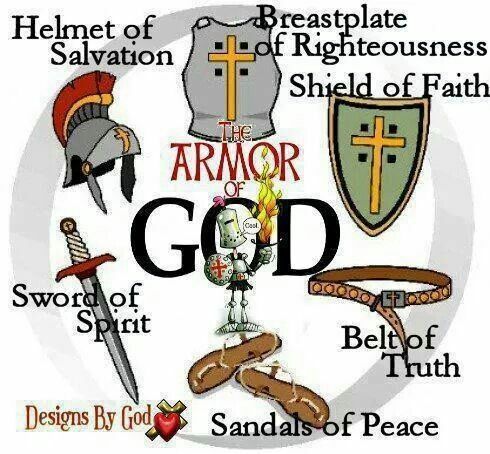 Yahushua (a.k.a Joshua the son of Nun) fought so many battles in his day. Most of the battles were to do with acquiring back the land of YAH whic had been given to their forefathers, for example Abraham, Isaac and Israel/Jacob. The Battles were also about LIGHT against Darkness! LIGHT will always have victory! How do I know this? Well, see the following? 11 They overcame him by the blood of the Lamb and by the word of their testimony, and they did not love their lives even in the face of death. 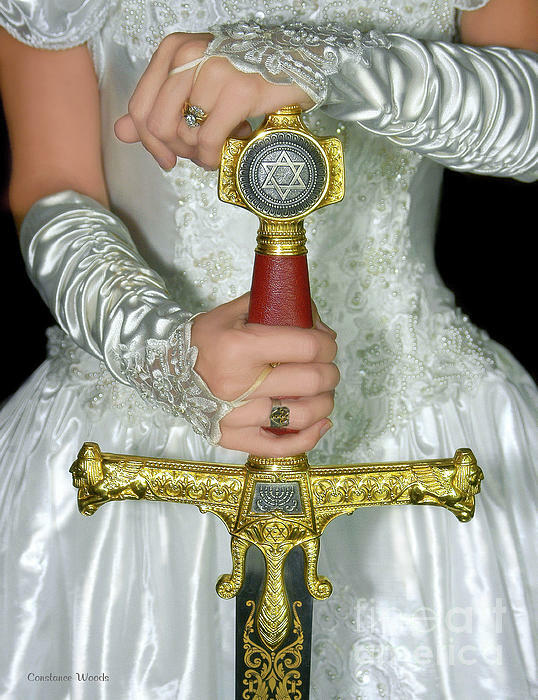 It has also been revealed through YAH’S Amightywind Ministry that there will be a GREAT BATTLE towards the end/at the end of the Great Tribulation/Time of Jacob’s Trouble in which all the Bride and Guests of YAHUSHUA together with YAH’S Holy Angels will take up arms and fight against everyone who refused to surrender their lives to YAHUSHUA as well as the Anti-Messiah (a.k.a Anti-Christ) and Satan himself. The Holy Angels of YAHUVEH GOD Almighty will also be involved in the Great Battle. 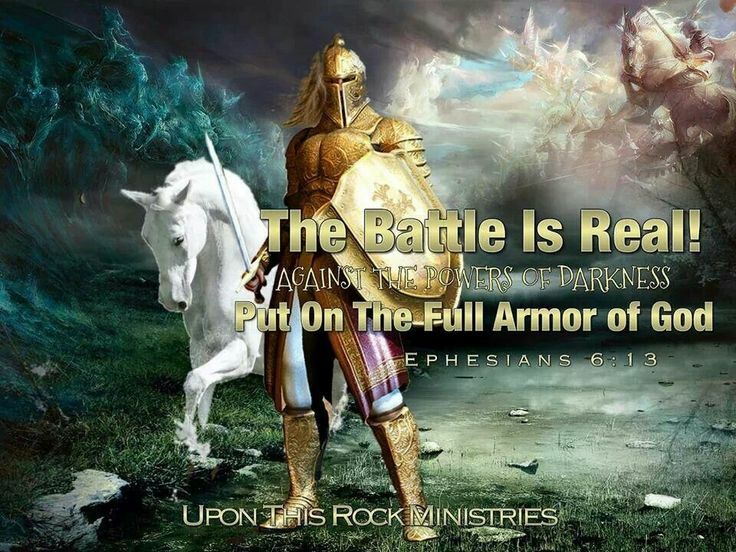 The fallen angels (a.k.a demons/aliens) will also fight against YAH’S Holiness and Light!!! The Bride and Guests of YAHUSHUA who will have already been raptured both before and half way through the Great Tribulation/Time of Jacob’s Trouble will return to the earth from the Heavens to fight the battle on earth. YAHUSHUA will come back at the same time to fight and reign. Phinehas (Pinchas, in the Hebrew language) stood up for GOOD/LIGHT during a time when Darkness/Evil was taking over the Camp of the Children of Israel. There was an ongoing Spiritual Battle/War at the time which required the Children of Israel to stand up for what is right before YAH and fight!!! Phinehas helped to put an end to the plague that YAH had sent upon the Children of Israel after they had sexually sinned with the Moabites. Balaam the diviner having been asked by Balak the King of the Moabites how to get rid of the Children of Israel so that they would not go through his land and/or conquer him and his kingdom successfully got the Moabite women to seduce the Children of Israel males. This greatly displeased YAH who sent a plague amongst the Israelites. Moses then called the Children of Israel to tell them off plus them to pray however, one of the Children of Israel walked into a tent with a Moabite woman so as to have sexual relations with her right in front of Moses while he was address the camp. On seeing this, Phinehas took a sword and killed both the man and woman as they were having sexual relations. YAH really commended him for that and even promoted him. 7 Phinehas, son of Eleazar and grandson of the priest Aaron, saw this. So he left the assembly, took a spear in his hand, 8 and went into the tent after the Israelite man. He drove the spear through the man and into the woman’s body. Because of this, the plague that the Israelites were experiencing stopped. 9 However, 24,000 people died from that plague. Yahweh is my life’s fortress. 2 Evildoers closed in on me to tear me to pieces. My opponents and enemies stumbled and fell. I will still have confidence in the Lord. In this world, both spiritual and physical realms, there is a battle on-going between LIGHT and Darkness. Sometimes, the battle manifests physically and some other times, it does not. Satan hates YAH’S people and is constantly finding as many ways as possible to fill them with darkness. See the First Book of Adam and Eve. Also, click here for more information. It is said that this Is Where The Final Battle Of Armageddon will be concentrated. 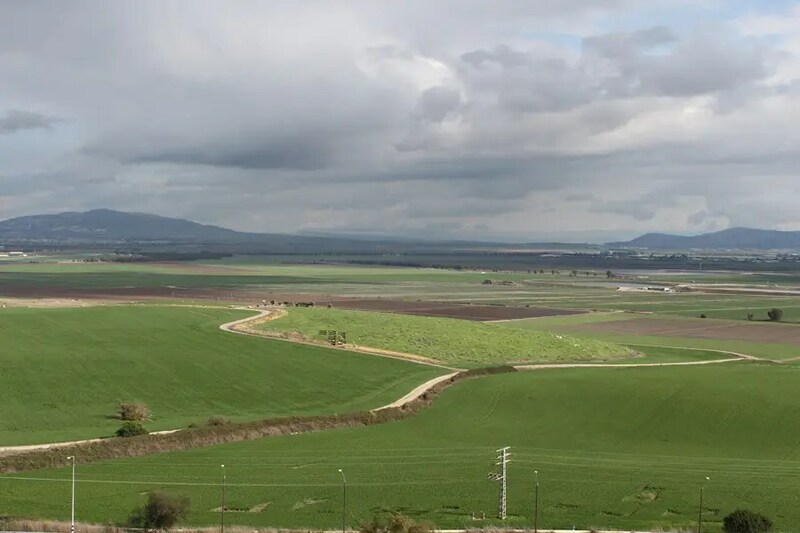 MEGIDDO — Situated here at the foot of Israel’s Mount Megiddo, the valley pictured below is believed by many Christians to be the site of the Battle of Armageddon, the final fight of End Times before the Second Coming of YAHUSHUA HA MASHIACH (a.k.a JESUS CHRIST/YESHUA). (Wikipedia) According to the Book of Revelation in the New Testament of the Bible, Armageddon (/ˌɑːrməˈɡɛdən/, from Ancient Greek: ἉρμαγεδώνHarmagedōn, Late Latin: Armagedōn, from Hebrew: הר מגידו Har Megiddo) is the prophesied location of a gathering of armies for a battle during the end times, variously interpreted as either a literal or a symbolic location. The term is also used in a generic sense to refer to any end of the world scenario. “Mount” Tel Megiddo is not actually a mountain, but a tell (a hill created by many generations of people living and rebuilding on the same spot) on which ancient forts were built to guard the Via Maris, an ancient trade route linking Egypt with the northern empires of Syria, Anatolia and Mesopotamia. Megiddo was the location of various ancient battles, including one in the 15th century BC and one in 609 BC. Modern Megiddo is a town approximately 25 miles (40 km) west-southwest of the southern tip of the Sea of Galilee in the Kishon River area in Israel. Megiddo is also known as Greek: Μεγιδδώ/Μαγεδδών, Megiddó/Mageddón in the Septuagint; Latin: Mageddo; Assyrian: Magiddu, Magaddu; Magidda and Makida in the Amarna tablets; Egyptian: Maketi, Makitu, and Makedo. The Book of Revelation mentions an apocalyptic battle at Armageddon, a Greek name of the site, derived from the Hebrew “Har Megiddo”, meaning “Mount of Megiddo”. “Armageddon” has become a byword for the end of the world. According to Wikipedia, Megiddo was a site of great importance in the ancient world. It guarded the western branch of a narrow pass on the most important trade route of the ancient Fertile Crescent, linking Egypt with Mesopotamia and Asia Minor and known today as Via Maris. Because of its strategic location, Megiddo was the site of several historical battles. The site was inhabited from approximately 7000 BCE to 586 BCE though the first significant remains date to the Chalcolithic period (4500–3500 BCE). Battle of Megiddo (15th century BCE): fought between the armies of the Egyptian pharaoh Thutmose III and a large Canaanitecoalition led by the rulers of Megiddo and Kadesh.